A hidden leak in your pipes can quickly lead to major problems if not found and treated promptly. High water bills, mold, and mildew are just a few problems that a hidden leak can create. But how do you know if you have a leaking pipe inside your walls? 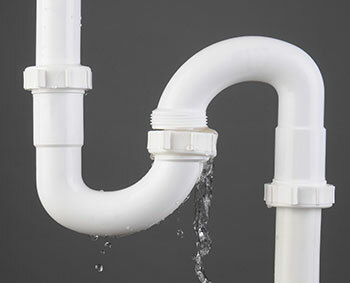 In this week’s blog, your Silver Spring plumber offers advice on how to detect a leaking pipe quickly so that it can be taken care of before creating bigger problems. How do you know if you have a pipe leaking inside your walls? Your Silver Spring plumber explains. One of the first telltale signs of a pipe leak is an unexplained increase in your water bill. If you haven’t increased consumption but you notice your bill has gone up, this is a strong indicator that you have a leak somewhere in your pipes. A good way to know for sure is to check your water meter when all of your water is off. If the meter is moving despite everything in your home being off, you probably have a hidden leak. Standing water creates a distinct odor very quickly so keep your nose on the lookout. If you start to notice a strange, musty smell it could indicate a leak behind that wall. Your Silver Spring plumber will be able to detect leaks in the walls by using technology that will quickly pinpoint the leak. Water coming through the walls has a way of making itself known so if you see any change in your wallpaper or unexplained discoloration, call your Silver Spring plumber immediately to have the problem looked at. Water can get trapped behind wallpaper, causing it to blister. Certain types of paint may also bubble when water is introduced behind it so do not hesitate to get it looked at if you notice a change. While mildew is common in the damp environment of your shower, if you notice it or mold anywhere else in your home it’s a strong sign of water damage. It will often quickly grow on walls whose interior pipe is leaking. Got plumbing problems? Give Master Plumbing & Mechanical a call at 301-650-9100 and let our experienced plumbers get the job done right. No job is too small and now that school is out and summer is winding down it’s the perfect time to take on that plumbing project that you’ve been putting off. This entry was posted on Thursday, September 24th, 2015 at 8:00 pm. Both comments and pings are currently closed.